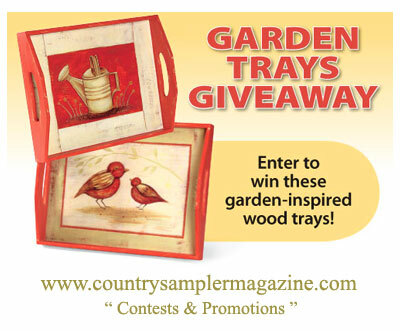 WIN my Art in Country Sampler Magazine! And, if you would like to purchase these summer-themed goods and more, please visit my List of Online Vendors who offer my products. 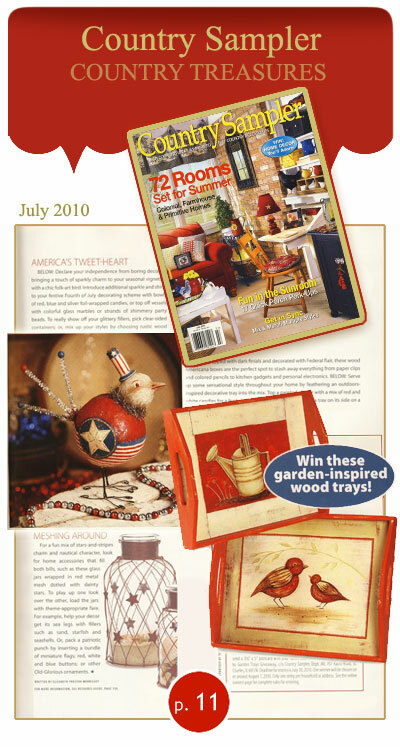 * What a joy to see this little tweeter included in the magazine! 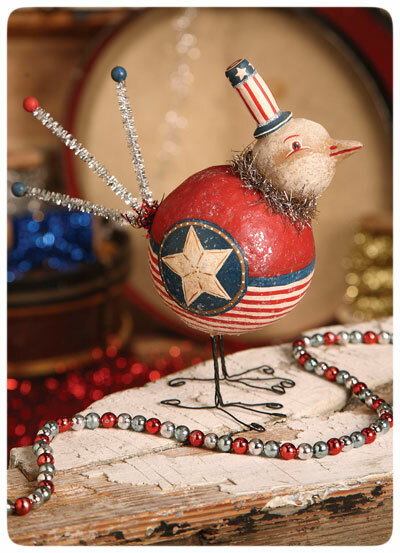 Soon, I will be offering a handful of these SIGNED USA birds along with a few pairs of my new Uncle Sam & Lady Liberty candy containers, signed as well! So, please join my e-mailing list to be included on that update as it will be a private e-mailing list sale.